Four people under the age of 25 are in trouble with police after officers cracked down on some liquor-related offences in Ridgetown Thursday night. A 19-year-old man was stopped on Main Street at around 10:30 p.m. Thursday and charged with carrying liquor in a vehicle contrary to the Liquor License Act. Police said a short time later in the same general area of Ridgetown, an 18-year-old woman and a 19-year-old woman were also charged with that same offence under the Liquor License Act. A couple of hours after that, a 23-year-old man was arrested on Main Street for being intoxicated in a public place. He was taken back to police headquarters, charged, and held in custody until he sobered up. If you have any tips on where Chatham-Kent police might be able to find a red 1995 Harley Davidson Softail FXS with the Ontario licence plate 0301E, they would like to hear from you. Police said a motorcycle with that description was stolen sometime over the past four or five months from a storage tent on Mill Street in Tilbury. The Harley motorbike was equipped with saddlebags and it had a black leather seat with silver studs. Anyone with information is asked to contact Constable Brad Hessel at bradhe@chatham-kent.ca or 519-436-6600 ext. 87270. Anonymous callers may call Crime Stoppers at 1-800-222-TIPS (8477) and may be eligible for a cash reward. 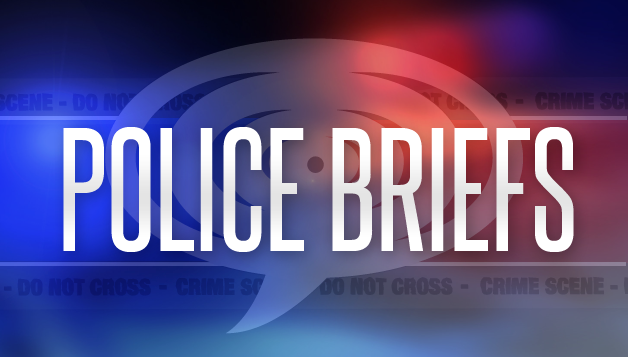 Chatham-Kent police have arrested a 22-year-old Wheatley woman in connection with a shoplifting complaint at Park’s Blueberries. Police said the woman attended the retail store at that business on Wednesday and allegedly concealed several jewelry and fashion accessory items on her person and in a bag before walking out of the store without paying for the goods. The stolen items have a combined value of $728. Officers said they were able to identify a suspect in connection with the case and made an arrest Thursday. The accused has been charged with theft and possession of stolen property. She was later released with conditions and a future court date. Police are reminding drivers to keep their eyes on the road — and speed limit signs — after a traffic enforcement blitz across Chatham-Kent led to dozens of charges Thursday. Officers handed out 67 speeding tickets and charged six motorists with not wearing a seat belt. One driver was charged with using a hand-held device and another was charged with driving while under suspension. Seven other motorists were also charged with various other undisclosed offences. A 28-year-old Chatham man who was wanted for failing to comply with his release conditions turned up in Wallaceburg Thursday night. Police said they arrested the man after issuing a warrant for his arrest over the weekend. He was wanted for failing to comply with his release conditions, which required him to notify police in writing within 24 hours of any change in address. Officers said they conducted a compliance check at the man’s address on Saturday and learned he was no longer there, so they tried to track him down, but couldn’t find him until Thursday night after they received a call about a suspicious man in a parking lot on Murray Street. The accused was charged with failing to comply and released with conditions and a future court date. Chatham-Kent police are reminding local students that Friday, March 22 is the deadline to submit a video for the CKPSB Public Safety Scholarship. You can find more information at http://ckpolice.com/public-safety-scholarship/.